SAYWHAT has held an inaugural meeting to introduce the Action for Choice inception project, highlighting its broad programming focus areas, related interventions and targets. 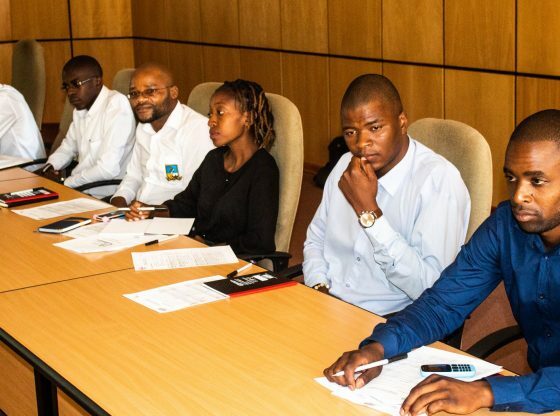 The meeting which took place at the University’s Gweru Main Campus on the 30th of October, 2018 was also aimed at outlining MSU’s role in the Action for Choice project. Furthermore, the meeting also set out key partnerships for the effective implementation of the project. Action for Choice is a project being implemented at ten state universities by SAYWHAT in conjunction with the Swedish International Development Agency(SIDA) and is expected to run until September 2021. The project builds on lessons from SAYWHAT`s previous engagements on sexual and reproductive health & rights (SRHR) issues and the creation of an enabling policy environment. The MSU Executive Dean of Students, Mr Isheunesu Chaka expressed optimism that the project will be successful as it is based on previous programmes in which the University worked closely with SAYWHAT and other partners. ‘We always start our projects the way we have started this one so am glad that SAYWHAT has organised this particular gathering … The rolling out and appreciation of what this project is about will be understood by everyone. There is no ambiguity or misunderstanding in terms of how we will reach the goals,’ he said. SAYWHAT representative Mr Delight Murigo said their focus is sexual reproductive health rights and the Action for Choice project is targeted at university students through peer educators. ‘ … we do not only work in universities but we also work with polytechnics, teacher training colleges, vocational training centres, agricultural colleges and in some cases nursing schools. This project, however, is only going to focus on universities,’ he said. SAYWHAT’s work hinges on four strategic pillars, capacity building integration, support provision and advocacy. The inception meeting was attended by representatives from the Student Affairs Division, SAYWHAT partners as well as students.